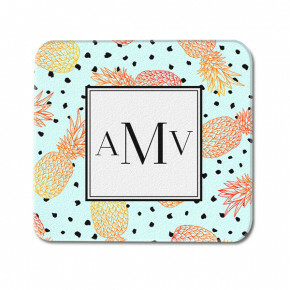 Brighten up your living room decors with custom glass coasters in you favorite colors, prints and styles. Personalize your glass drink coasters with initials, the family name, or a message celebrating a special occasion. Leopard print and ombre pineapple styles make great gifts for her. 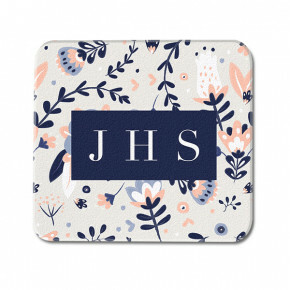 Wedding glass coasters are perfect for newlyweds! These home accents feature patterns with minimal geometric lines, vibrant palm prints, exquisite marble details, and floral designs. Choose from our delicate coaster options when you design your next birthday or holiday gift.